Xiaomi USB Drivers enables the connection between Xiaomi device and Computer/PC for the purpose of viewing files, transfer media or files between computer and phone. Xiaomi is leading manufacturer of smartphone, and they have impressive portfolio of smartphones. Xiaomi smartphones are rich in terms of hardware, and are always pocket friendly for end users. 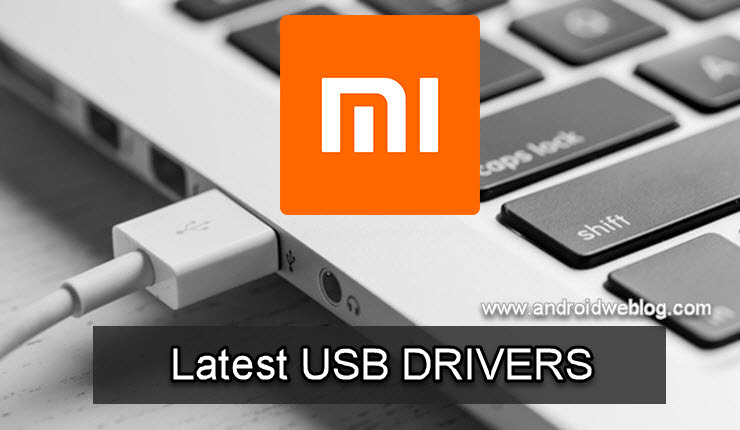 If you are searching for Xiaomi USB Drivers for your device, then this page will surely helpful for you. Xiaomi USB Drivers are also essential whilst linking your smart phone in Fastboot Mode & Emergency Download Mode [EDL]. All these are special modes in every Android smartphones mainly booted whenever you perform flashing process. You may refer here Download Mi PC Suite. With USB Drivers installed on PC, the users have the option to use the mobile phone’s 3G/4G data with computer to surf the internet. Not only this, whenever users try to flash firmware or unlock bootloader, Xiaomi USB Drivers are much desired. That is why we’re here with downloads links of all Xiaomi mobiles & tablets followed by installation guide. Android USB Drivers are useful in several discretionary functions. Let’s take a peek one after another. Transfer Data from Mobile to PC and vice versa. Below is the listing of various Xiaomi devices. Just locate your device, and there is download link of driver beside each model. You can use CTRL + F to search your device. Drivers supports Windows 10, Windows 8 and Windows 7. It is quite simple to install USB Drivers, just find your device model number and tap on “Download”. Now extract the download file and then install the drivers. If the connection between computer and smartphone is not established due to any reason, then you must install this driver manually. Step 1: Firstly, select your device model from above list. Step 2: Tap on ‘Download‘ and save it to your computer. Step 3: Locate the download file and then Unzip the same. Step 4: Now you need to run the .exe file and follow on-screen instructions. Step 5: If driver installed successfully, then verify the connection, otherwise follow the next step. Step 7: The Android device with Question mark will appear on the screen, which confirms that driver has not installed as of now. Step 8: Now, browse your computer and go to the path where file has been downloaded and you unzipped the same. This will start the driver installation and same would complete in few minutes. That’s it! Xiaomi USB Drivers are successfully installed on your Windows, Linux or Mac computers. Xiaomi also has Mi PC Suite for connecting Mi/ Redmi devices with Windows PC. You can refer here Download Mi PC Suite.